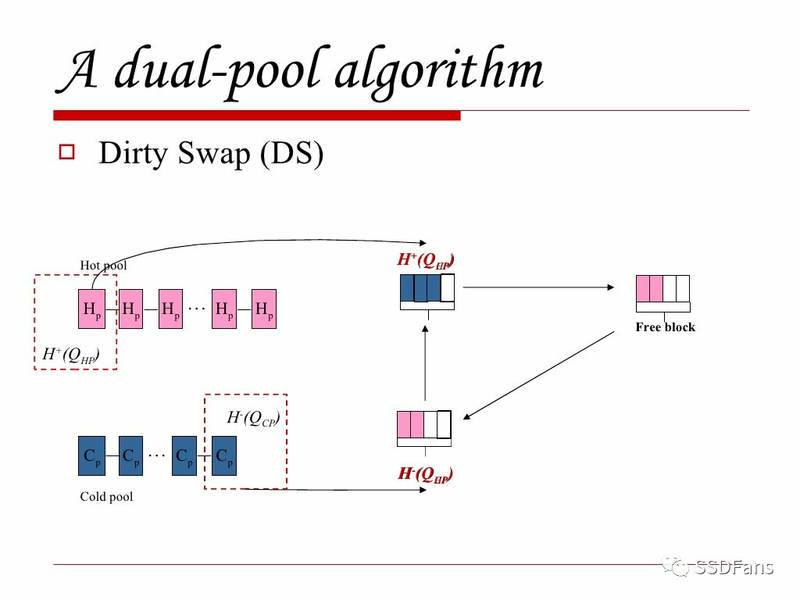 The Dual-pool algorithm is a classic wear leveling algorithm designed to extend the life of flash memory. It achieves two solutions: the first is to store cold data to prevent the block from being worn, because the frequently updated thermal data will increase wear; the second is not to deal with the processed blocks until the wear balance is in effect. The uneven wear of the flash block is due to the spatial locality of the workload. The pages are divided into three categories: free page, which means that pages can be written, live page for valid pages, and dead page for invalid pages. Because the cold data can be stored more stably on the valid page in the block, and the hot data is updated quickly, the constant update will make the valid page in the original page become an invalid page, which will leave a lot of dead pages in the block. When doing garbage collection, it tends to reclaim these blocks with more dead pages, so always free pages are recovered from those blocks that store more hot data. Writing hot data is more frequent than writing cold data, so this hot data is stored in a specific block. But such a phenomenon will gradually make the worn blocks unbalanced. Hot-cold regulation: After the cold data migration occurs, the blocks involved should be prevented from erasing the old blocks, and the young blocks should be erased. 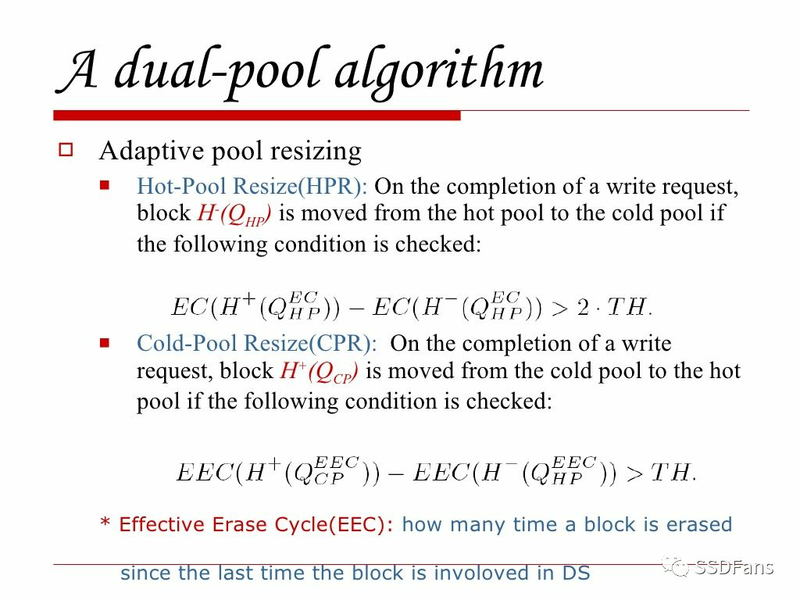 Considering that there is a block in the DS that migrates to the cold pool, this block has a large erase period, and the effective erase period is zero. The DS places the cold data in the block to stop it from being erased and erased. On the one hand, if the cold data is maintained, the effective erase period value of this block will remain at a low value. On the other hand, if this block no longer stores cold data, the effective erase cycle will grow very quickly. These two cases can be clearly distinguished by the introduction of an effective erase period test. Therefore, when a write operation is completed, the DS operation is performed first, then the CPR is executed, and finally the HPR is executed. For very large-scale flash storage systems, this proposed algorithm provides a very powerful solution to the wear leveling problem. ●The winner of the Indian smartphone market is mainly Chinese mobile phone vendors.